For about a decade, we in the USA had to stare forlornly across the Atlantic Ocean at the lucky devils who had access to the fantastic light weight Elise 2-seat roadster by Lotus. It was the ultimate forbidden fruit and an entire generation was sold in Europe before our prayers were finally answered 2005 with the release of the Federal Elise. 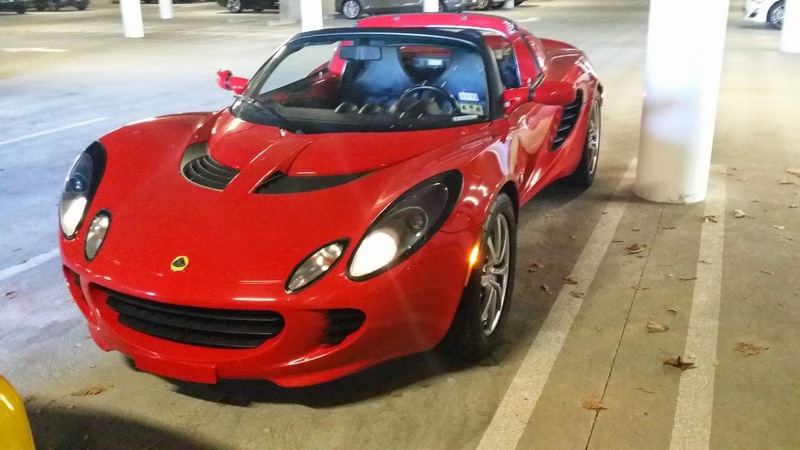 Find this 2005 Lotus Elise offered here on eBay currently bidding for $26,700 reserve-not-met with 2 days to go, located in Houston, TX. As much as the automotive media pundits the arrival of the simplified (with added lightness) roadster, production numbers weren't exactly something to send its competitors scrambling. Total Elise + Exige production for the USA is as follows: 2005 = 3,321; 2006 = 1,417; 2007 = 735, 2008 = 425, 2009 = 146, 2010 = 95, 2011 = 186. Why the lackluster sales? It all starts and ends with the Elise MSRP of $40k before any options were added (IIRC the stereo was an option). Sure, you couldn't get a more track ready car for any price, most people looking at spending $40k on a new car won't ever drive more than once or twice on a track anyway -- what they really want is an automatic transmission Corvette. If there was ever an example of a fantastic engine letting down a vehicle, this is it. The Toyota 2ZZ-GE 1.8 liter 16-Valve DOHC inline-4 is a great little engine, pushing out 190 horsepower and 138 ft-lbs of torque. It is reliable, quiet, and torquey at low revvs -- and therein lies the problem. The 2ZZ wasn't exciting in the Celica GT-S and now it is surrounded by an extruded Aluminum backbone and composite body. It is like you are an evil Bond villian and you built your spaceship/escape vehicle using weather balloons for launch. James Bond shows up with a platoon of MI-6's best, and you hit the big red button, instead of smoke, steam, and fire filling your volcano lair, a large weather balloon slowly inflates and you float off to fight another day. Yes, you escaped agent 007 with reckless efficiency, but it could have been considerably more exciting. 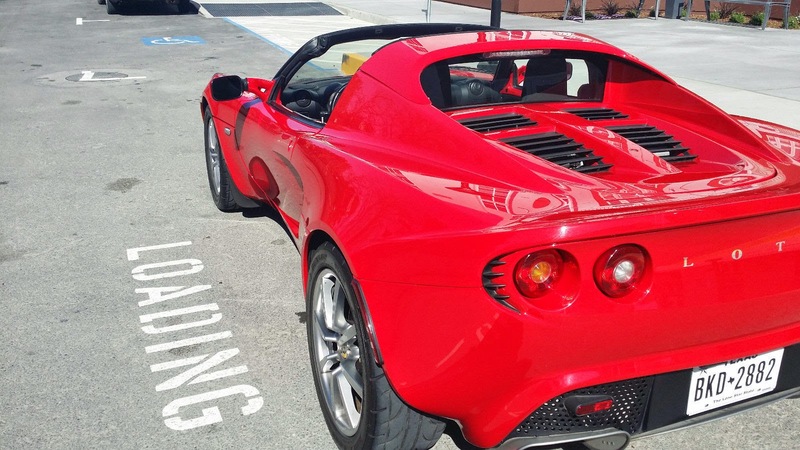 I've always commented that if Toyota had stuff the 2ZZ into the back of their MR2 Spyder, they would have had an instant Elise competitor at 1/2 the price...but they didn't, so the Federal Elise dropped in price for a few years and has now stabilized. They didn't make many of them of they aren't making any more, and critically, there is no real competition (C5/C6 Z06? Viper? 996 Turbo? E36 M3?). For the same price you could get a brand new Scion FR-S or Subaru BRZ...but the Elise will blow its doors off and hold better value at the same time. It will be interesting to see if it hits reserve. Dang, this would have already been above reserve a year ago. $25k was the spot on magic price point for a 2005 in good shape back then. I would guess driving one of these is just amazing. It it pretty much a pure sports car. Vince - have you ridden in / driven an Elise or Exige? I got a ride in an NA Exige around Streets of Willow recently (Bitter Dan's car). 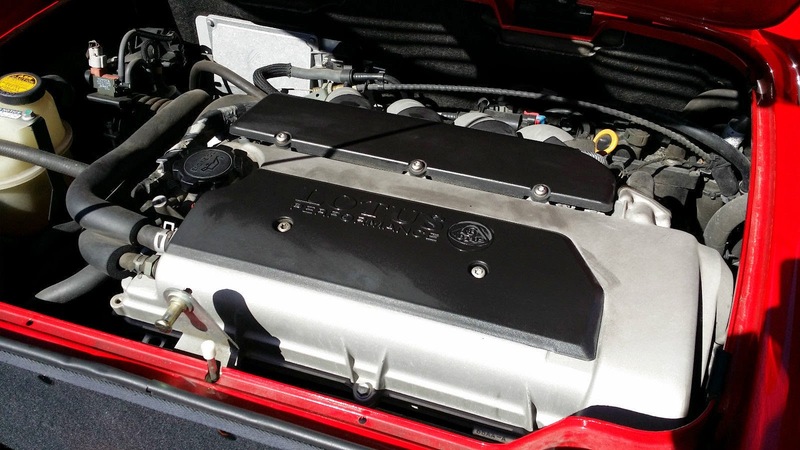 With this same "not so exciting" Toyota 2ZZ engine it was a thoroughly entertaining experience. Of course I wasn't driving so I can't give a thorough review, but a peaky ~200hp mill in this light of a car is great fun. The Exige ranks 2nd in track day ride-alongs for me, bested only by a completely stripped out M Coupe time trials car that thoroughly scared the crap out of me at Buttonwillow. A few different Elises, never an Exige. Fantastic little cars and probably reliable too. But I can't help thinking I'd want mine with a boosted K20 or a tri-rotor wankel or a fission powered steam turbine. 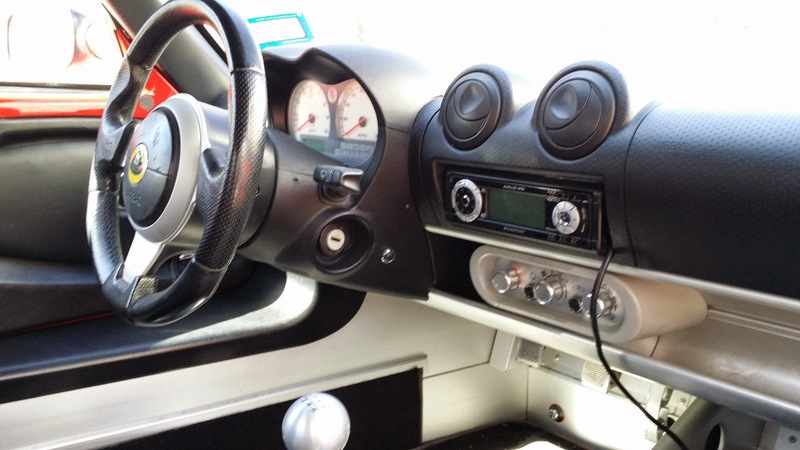 2005 Lotus Elise, Curb weight - Awesome! I would like to see a comparison between a comparable Lotus Elise/Exige against an Alfa 4C and see what happens! Seems like they would be a good match for each other. All I know is that my local AR dealer has a 4C and it's utterly gorgeous. He started it up for me and it sounds amazing. Tight interior, but that's to be expected. I love the Lotus too, but I'd drop it like a hot rock for the AR. Unfortunately, the Lotus is old news at this point and the interior is even tighter. Still super cool though. Like I'm ever going to own either one...ha! I haven't seen a 4C in person, but the 8C's I saw in Europe last year made me drool. Turns out R&T did the comparison I mentioned last year in May. They also added the Cayman into the mix. 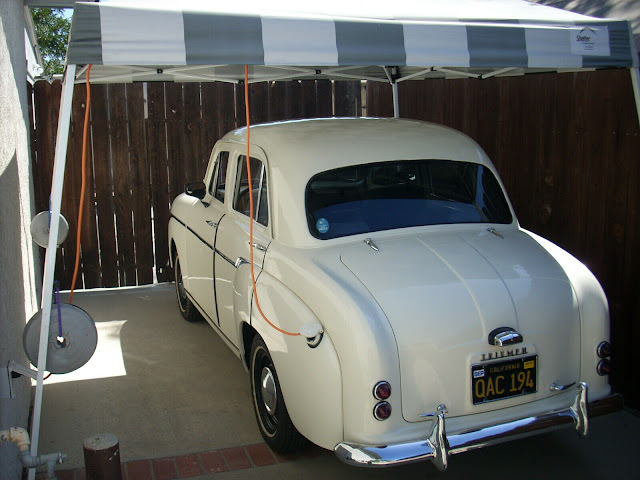 I need to go pick up a part for the Miata at the dealer tomorrow (plastic clip that holds the hood prop rod). The new Alfa dealer is just down the street. I think I will pop in and see if they have a 4C. I have not set foot in an Alfa dealership since Bellevue Alfa Romeo closed many years ago. Hey, I need one of those too! You mean the piece of wire I have holding the prop rod in place isn't OEM? Ha ha! What the heck is that piece even called other than "the plastic bit that holds the prop rod"? Walking into a modern AR dealer is an odd feeling, to say the least. Too bad they don't have anything but the one model. Mazda calls it "G030-56-693A M900 HOLDER, RO". The other day when I checked the oil, the clip disintegrated when i put the prop rod back. I was curious if I could get a new one from the dealer for a nearly 25 year old car when we were there test driving a CX-5, and I could for $5. Did have to order it though. Awesome, thanks! Are you talking about the holder or the retainer? I need the retainer, the one on the right. Holder on the left is what I needed. You might be able to find it on Rosenthal Mazda's parts site. Hey if you don't like the engine in this car you would appreciate it more after trying one with the original Rover motor. Not much different from a Miata, I can tell you. I love that it's a Toyota motor. Cracks me up and yet makes perfect sense. I just wish they'd apply it to the Camry and all the other cars with this motor. They've had sporty-ish variants over the years and they (Toyota) need to pull the trigger and offer it as a dealer-installed option (which all options are, I know).